Customers shop in a Sainsbury's store in Redhill, Britain, March 27, 2018. 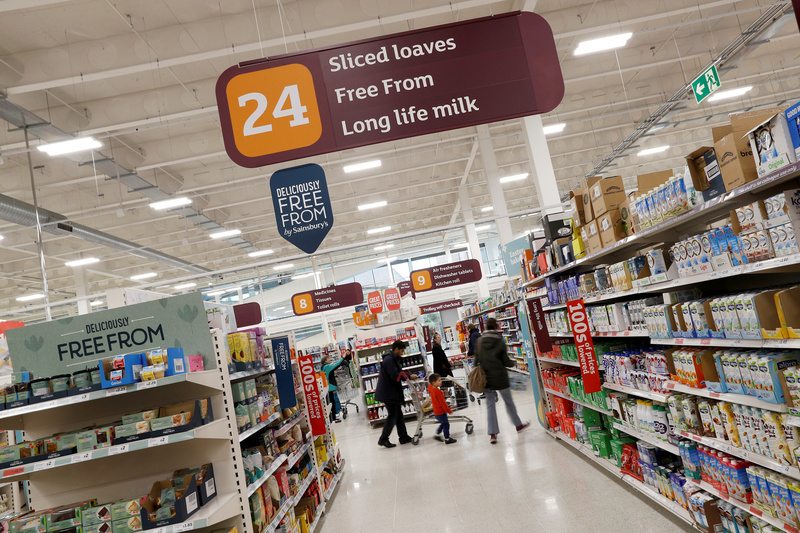 British supermarket J Sainsbury said on March 19 it will deliver 1 billion pounds of lower prices annually by the third year after completion of its proposed 7.3 billion pound takeover of Asda. The two groups said they would invest 300 million pounds in the first year after combining, and a further 700 million over the following two years – reducing prices “by around 10 percent on everyday items”. Sainsbury’s also said it would cap its fuel gross profit margin to no more than 3.5 pence per litre for five years, while Asda will guarantee its existing fuel pricing strategy. The price commitments would be independently reviewed, with the results published in order to hold them to public account, Sainsbury’s said. The supermarket chain also committed to pay small suppliers with turnover of less than 250,000 pounds within 14 days, while Asda will continue to pay its small suppliers within 14 days. Sainsbury’s shares were up 2 percent at 239.6 pence by 1043 GMT on March 19.